Vietnam’s wind energy industry is still slow to take off. The target of 800 and 6,000 megawatts of wind power by 2020 and 2030 looks beyond reach. Vietnam is far away from realizing its short and medium term wind power goals, with no ready solution in sight to several impediments, experts say. 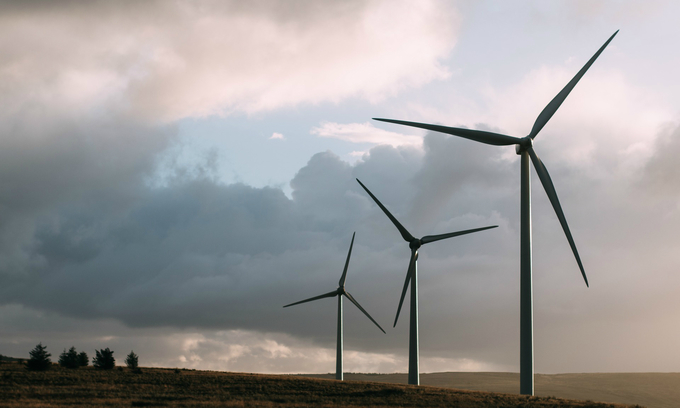 They said at a recent conference on wind energy development in Vietnam that high interest rates, low selling prices and inadequate power purchase agreements from the investors’ point of view were major stumbling blocks to realizing set targets. Vietnam plans to produce 800 megawatts of wind energy by 2020 and 6,000 megawatts by 2030. However, the country has just 7 functioning wind energy projects with a total capacity of 190 megawatts, noted Nguyen Van Thanh from the Ministry of Industry and Trade. Tran Vinh Thong, technical officer for wind energy firm Thuan Binh, which is currently investing in the Phu Lac wind energy project in southern Binh Thuan Province, said the project’s initial cost was VND1.1 trillion ($49 million) and it generated an annual revenue of about VND100 billion, of which VND70-80 billion goes for just interest payments. “We only have VND20-30 billion left each year to pay our employees’ salaries and meet maintenance costs,” he said. Low electricity selling prices are also an issue, Thong added. Currently, electricity derived from wind energy costs about 7.8 cents per kilowatt per hour. At this price, the Phu Lac wind energy project would need 14 years to recoup its initial cost, while a typical wind energy project only lasts 20 years before it is replaced as maintenance costs soar, he said. Meanwhile, the buying price for wind power is 20 cents in Thailand, 29 cents in the Philippines and 30 cents in Japan. However, disadvantageous power purchase agreements remain the biggest obstacle to grow Vietnam’s wind energy industry, said Bui Vinh Thang, business development officer for Irish sustainable energy firm Mainstream. Currently, businesses in Vietnam who want to produce electricity can only sell their output to national distributor Vietnam Electricity Corporation (EVN), which has a monopoly on the service. Worse still, EVN can cancel the power purchase agreement at any time, regardless of the time agreed upon in the contract. “That is too much of a risk,” Thang said. Moreover, EVN unilaterally gets to temporarily suspend electricity distribution for energy grid maintenance should it deems necessary to do so. “During the time electricity distribution is temporarily suspended, we don’t make any money. And EVN doesn’t have to reimburse us at all,” Thang said. Last year, the Ministry of Industry and Trade proposed an increase in selling prices for wind energy. Land and sea projects would have their selling prices increased to 8.77 and 9.95 cents per kilowatt per hour, respectively. Vietnam is trying to generate enough energy to sustain the country’s growth and connect those who still do not have access to power, while gradually shifting towards clean and low-carbon energy. It aims to produce 10.7 percent of its total electricity through renewable energy by 2030, mainly through solar and wind sources.